PUBG Corp has teased its third multiplayer map for Battlegrounds, and it’ll be here before you can say "Chicken Dinner!" 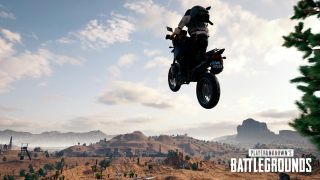 Today, everyone’s a winner winner in PlayerUnknown's Battlegrounds, as we now have firm details about the game’s upcoming third map and its expected launch window, just over a month after the desert-based Miramar map released for the record-breaking Battle Royale game. Writing in a blog post on its website, PUBG Corp - the studio now actively working on PlayerUnknown’s Battlegrounds for both PC and Xbox One - outlined a brief overview for its plans over the next few months of this year. If you do the math there, you’ll see that this slightly convoluted sentence is essentially confirming that the next multiplayer map for PUBG will be out before the end of July, and PUBG Corp will be revealing what it looks like as soon as next month. See, I told you everyone's a winner. But where will this map take place? So far we’ve had woodland and desert biomes… could the next setting be the urban jungle that players have been dreaming about ever since PUBG’s rise to fame and fortune? Considering how long it too for the studio to release last month’s Miramar map, this is a surprisingly quick turnaround for PUBG Corp. Perhaps they’re learning a thing or two from Fortnite: Battle Royale, and Epic Games’ insanely speedy development cycle with that game, which has now overtaken PUBG as the most popular title of the year so far. The blog post also outlines a number of hotfixes and technical changes coming to PUBG, and you can check out the whole list of updates arriving with the oncoming patch right here. Apparently, PUBG Corp’s ongoing crackdown against cheaters has been the reason behind the delays to new content coming out for Battlegrounds, to the point where the studio has had to sideline important updates to the game’s long-standing ping issues that fans have been forever complaining about. What are you hoping for with the new map? Or would you prefer PUBG Corp to keep focusing on fixing the game’s myriad of technical issues instead? Let us know in the comments; I promise we read them!